New year, new you! New year, new you! New Year, new you! Quite a few of my friends are sober/cleansing/detoxing in January. I am not – my friends all know I can barely go an evening without Pinot – but I’m hosting a dinner party for some of those healthy January friends and needed to find them a tasty drink. Serendipitously, our dear friend Todd brought us beautiful Meyer lemons from his family’s home in Napa. So when life gives you lemons in sober January, you make sugar-free sparkling lemonade! 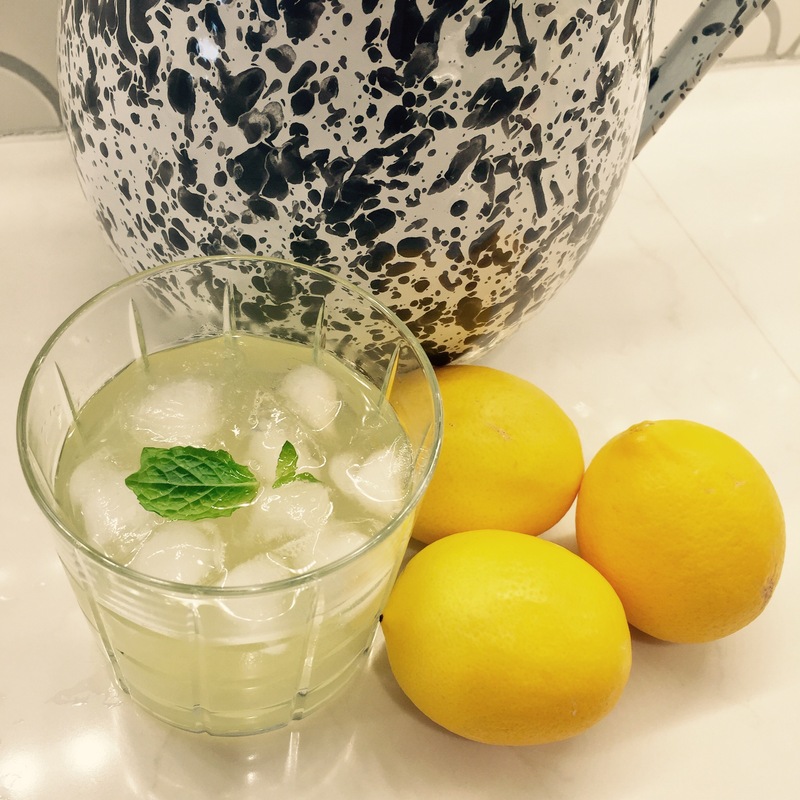 This lemonade is made with Truvia, which is a stevia sweeter. Stevia is a calorie free, plant-based sugar substitute made from the stevia rebaudiana plant in South America. It is significantly sweeter than sugar, so make sure to use less of it whenever you substitute it for sugar. 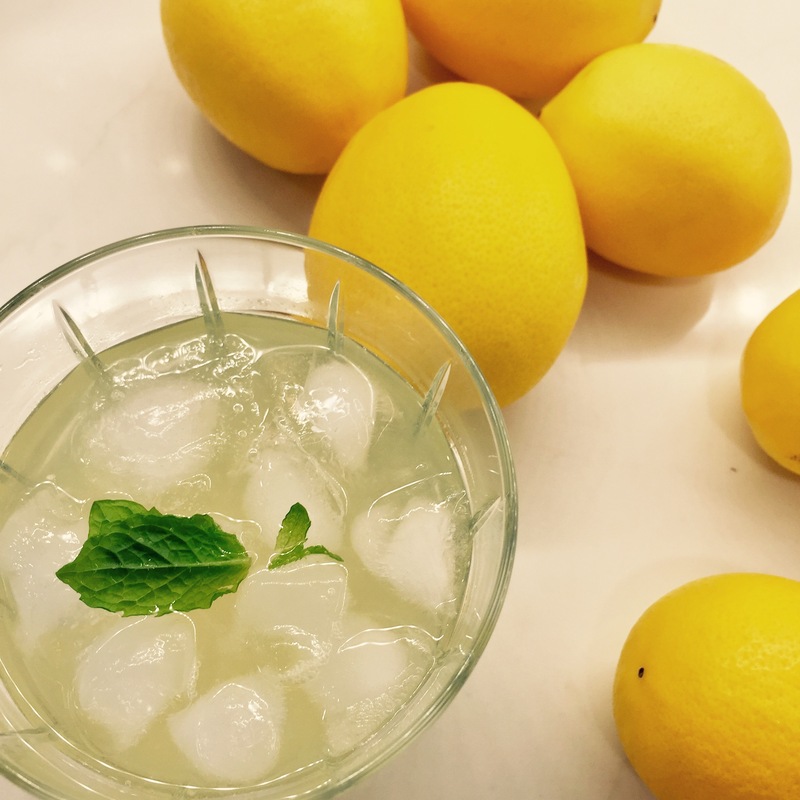 I also like my lemonade to taste like lemons, so this recipe is high in lemon flavor, high in bubbly fun, and high on my list to replace my pinot tonight. Sparkling lemonade: serve in a Crow Canyon Home pitcher and pour into a Pottery Barn old-fashioned glass! Stir boiling water and Truvia together until dissolved, about 5 minutes. Add in Meyer lemon juice, water and soda. Cool in refrigerator about 20 minutes. Add ice, mint and sliced lemons to finish. Note: to make this recipe even more bubbly, substitute out more of the water for club soda. 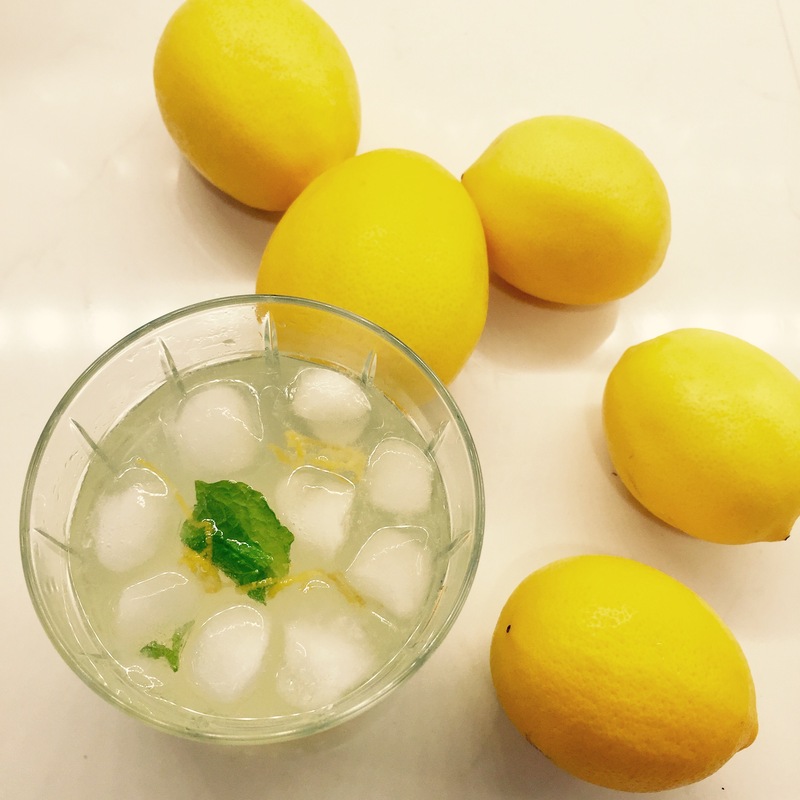 Tasty lemonade with a sugar substitute will help you keep your sugar free detox New Years resolutions!